Temporal Logbook II: Further Journeys author Frank Danes (“The Canterbury Tale”) will be speaking about Doctor Who and signing copies of his new book Six Decades In Time and Space on Monday October 29th at St. Peter’s Church, Broad Street Ely UK. Doctor Who is the longest running science fiction series in the world. In its six decade run, the show has tracked and embodied the social, political and cultural changes in the United Kingdom and the world, tackling fascism, environmental disaster, religious fanaticism, changing attitudes towards gender and, of course, alien invasions. In the person of The Doctor herself – and himself – the programme has given us a hero as immortal in appeal as Sherlock Holmes and Robin Hood. 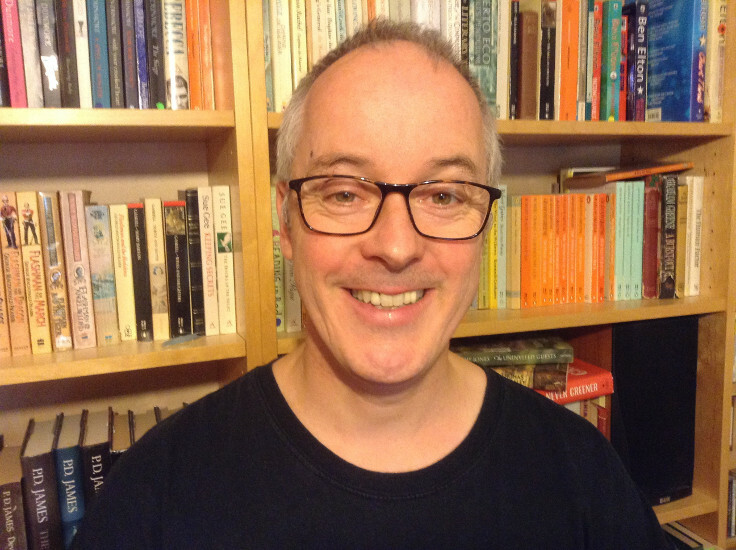 Ely resident Frank Danes, esteemed teacher, bookseller and renowned Whovian, has written the only one-volume history and reference book of the series you will ever need. 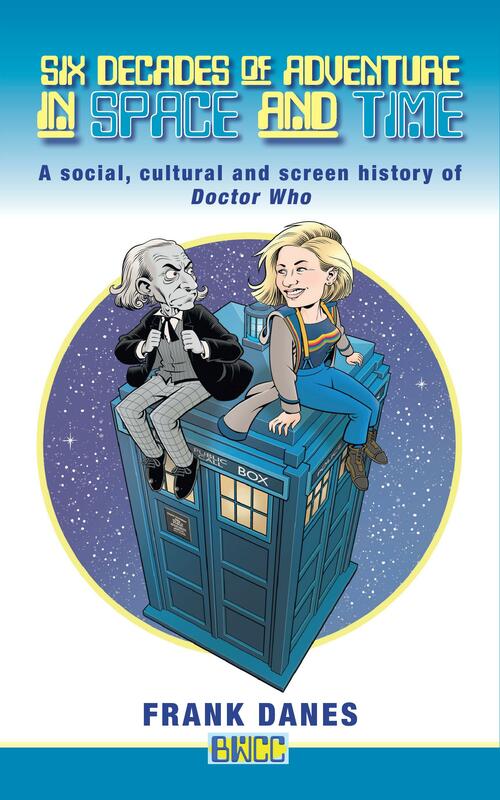 Six Decades of Adventure in Space and Time brings the story right up to date – it’s a witty and engaging gallop through the history of The Doctor written by a man whose enthusiasm shines through on every page, and undoubtedly will do so again as he tells us all about it! Chromakey magazine will also be interviewing Frank about his book in a forthcoming issue. Additional details on Frank’s appearance can be found here. Keep up to date with Chromakey and join us. We are now accepting submissions for the very first issue of Chromakey. 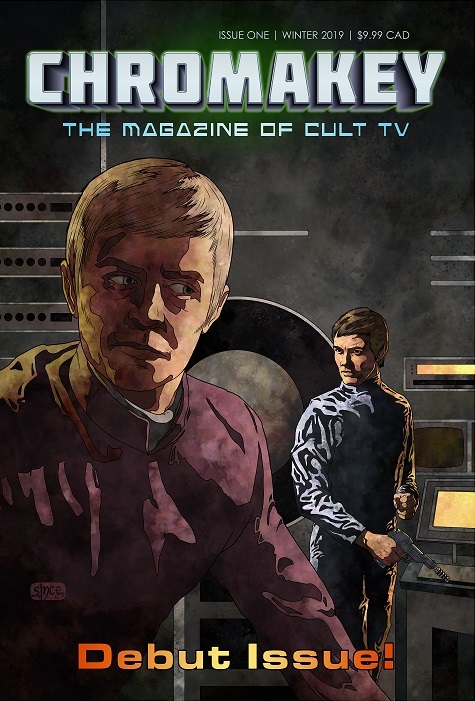 We are looking for contributors who have sound knowledge of science fiction, fantasy, telefantasy and cult television. Main Feature articles should be circa 3000-5000 words. Feature articles should be circa 2000-3000 words. Reviews should be circa 800-1000 words. NB: There are exceptions to this limit depending on the subject of the review. Please check with us first before submitting material longer than 3000 words/4 pages. If you have an idea for an article, or have any questions about contributing to the first issue, please contact us direct at the Pencil Tip Publishing email address. PENCIL TIP PUBLISHING is pleased to announce our very first magazine, Chromakey. Following in the tradition of past classic TV-related publications as: Timescreen, The Frame, DWB and Action TV, Chromakey will be an updated, modern, twenty-first century version. Each issue will feature a variety of written material including: articles, reviews, opinion pieces, interviews, analysis, features, etc. that is informative, in-depth, detail orientated and retrospective. While material will be of a more serious-tone, the magazine will endeavour to remain entertaining and informative – you won’t find material that is lightweight, frothy, irrelevant, overly dry or scholarly. Articles will be not only of interest to the archive television enthusiast, but also to the general fan of television as well. Contributors will be encouraged to ‘speak their mind’ or offer an unpopular opinion on a subject. Our subject matter will be treated with respect and seriousness. Chromakey will be published twice per year, and edited by Richard Peevers and Bob Furnell. The editors will be seeking contributions for the first issue very soon, so keep tuned to the Chromakey site for further details and publication of our submission guidelines. For further information please visit the Chromakey site here.